hd00:13Highway offramp at intersection of the 427 and QEW highways in Etobicoke, Ontario, Canada. 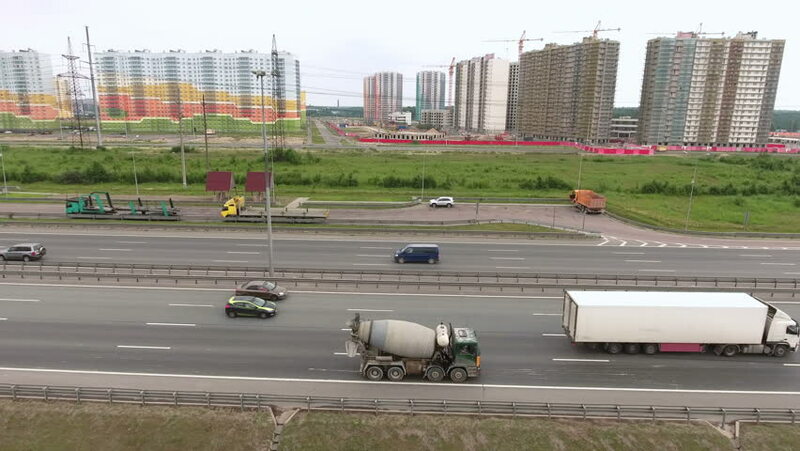 4k00:05View of typical Russian street in summer with new buildings, road, cars, footpaths and walking people. Scene. Everyday life concept.